We observed the two minutes silence for Remembrance Day. We watched a short video and listened to the Big Ben bells chime 11 o'clock. We sat really quietly for two minutes. Afterwards, lots of us chose to make our own poppies and talked about why we wear them. 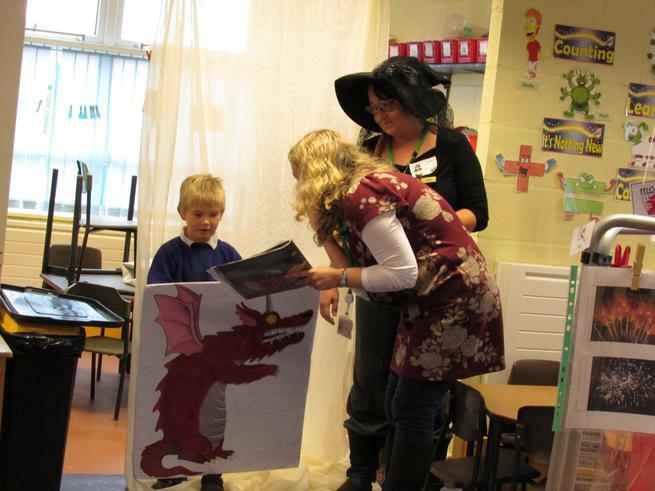 The ladies from the library service came to act out Room on the Broom! We had great fun joining in with the re-telling!